"I´m interested in making a path instead of following a trail, and that´s what I want to do in life - in everything I do." "I really do wish people could understand me some day." "What one wishes is to be touched by truth and to be able to interpret that truth so that one may use what one is feeling and experiencing, be it despair or joy, in a way that will add meaning to one's life and will hopefully touch others as well." "There's only one idol for me. It's Michael Jackson. His attitude, vision of life, innocence and artistic quality gives me inspiration. I try to be like him. I wish I had such great fans." "People think they know me, but they don't. Not really. Actually, I am one of the loneliest people on this earth. I cry sometimes, because it hurts. It does. To be honest, I guess you could say that it hurts to be me." "My childhood was completely taken away from me. There was no Christmas, there were no birthdays, it was not a normal childhood, nor the normal pleasures of childhood. Those were exchanged for hard work, struggle and pain and eventually material and professional success. But as an awful price, I cannot re-create that part of my life. However, today, when I create my music, I feel like an instrument of nature. I wonder what delight nature must feel when we open our hearts and express our god-given talents. The sound of approval rolls across the universe, and the whole world abounds in magic, wonder fills our hearts, for what we've glimpsed, for an instant, the playfulness of life. And that's why I love children and learned so much from being around them. I realised that many of our world's problems today - from the inner city crime, to large scale wars and terrorism, and our overcrowded prisons - are a result of the fact that children have had their childhood stolen from them. The magic, the wonder, the mystery, and the innocence of a child's heart, are the seeds of creativity that will heal the world. I really believe that. What we need to learn from children isn't childish. Being with them connects us to the deeper wisdom of life, which is everpresent and only ask to believe. They know the way to solutions that lie waiting to be recognised within our own hearts. Today, I would like to thank all the children of the world, including the sick and deprived... I am so sensitive to your pain. (...)"
"Children show me in their playful smiles the divine in everyone. This simple goodness shines straight from their hearts. Being with them connects us to the deeper wisdom of life. These children are a reminder of the preciousness of all life, especially young lives untouched by hatred, prejudice and greed. Now, when the world is so confused and its problems so complicated, we need our children more than ever. Their natural wisdom points the way to solutions that lie waiting to be recognized within our own hearts. Children are the world's foremost idealists and optimists. It is for that reason that 'Heal The World" is organizing the World's Children Congress next year, made up exclusively of delegates, aged 8 to 16. The world desperately needs their innocent perspective on the world's problems. We have to heal our wounded planet of the chaos, despair and senseless destruction we see today. The mission of HTW, my mission, is healing. Pure and simple. To heal the world, we must start by healing our children." "Being a world traveler, I’m touched and moved by everything that happens, especially to children. It gets me emotionally sick and I go through a lot of pain when I see that type of pain. I can’t pretend as if I don’t see it. It affects me very much." "We have to heal our wounded world. The chaos, despair, and senseless destruction we see today are a result of the alienation that people feel from each other and their environment. Often this alienation has its roots in an emotionally deprived childhood. Children have had their childhood stolen from them. A child's mind needs the nourishment of mystery, magic, wonder and excitement. I want my work to help people rediscover the child that's hiding in them." "Do I really believe that we can heal this world, that is riddled with war and genocide, even today? And do I really think that we can heal our children, the same children who can enter their schools with guns and hatred and shoot down their classmates, like they did at Columbine? Or children who can beat a defenseless toddler to death, like the tragic story of Jamie Bulger? Of course I do! of course I do or I wouldn’t be here tonight. But it all begins with forgiveness, because to heal the world, we first have to heal ourselves. And to heal the kids, we first have to heal the child within, each and every one of us. As an adult, and as a parent, I realise that I cannot be a whole human being, nor a parent capable of unconditional love, until I put to rest the ghosts of my own childhood. And that’s what I’m asking all of us to do tonight. Live up to the fifth of the ten Commandments. Honour your parents by not judging them. Give them the benefit of the doubt. That is why I want to forgive my father and to stop judging him. I want to forgive my father, because I want a father, and this is the only one that I’ve got. I want the weight of my past lifted from my shoulders and I want to be free to step into a new relationship with my father, for the rest of my life, unhindered by the goblins of the past. And in a world filled with distrust, we must still dare to believe." "Love is important, to love each other. We're all one. That's the message." “I love you all and we are family. Please, know that: we are a family. We have to bring love back into the world..."
It is now I see and feel that calling once again, to be part of a music that will not just connect but, make all feel one, one in joy, one in pain, one in love, one in service and in consciousness." Elizabeth Taylor: He is the least weird man I have ever known. He is highly intelligent, shrewd, intuitive, understanding, sympathetic, generous – to almost a fault, of himself. There’s nobody that can come near him. Nobody can dance like that, write the lyrics like that, the music, uh, cause the kind of excitement he does. "You know why Michael was so special? He was so decent and so modest and humble"
Attorney Susan Yu In celebration of "Michael Jackson: The Life of an Icon"
"The pain of life touches me, but the joy of life is so much stronger." This explosive documentary series will conclusively destroy decades of salacious myths which have been told and sold about Michael Jackson ad nauseam. In doing so, we will shine a light on the corruption within the media and entertainment industries which conceived and perpetuated them. 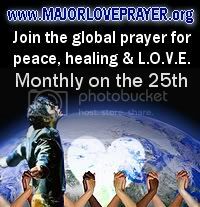 MLP is a worldwide group visualization that takes place every 25th of the month, simultaneously, all across the globe. Inspired by Michael Jackson's desire to heal the world and begun by his fans, our mission is to make a change... with love. Since 2009, this powerful prayer/ meditation/ intention has been bringing together thousands of people from all across the world. Every 25th at 2pm PST we unite as one, to raise consciousness of spirit and heal our planet, our children and hearts all over the world. is dedicated to planting trees all over the world in honor of Michael Jackson. It´s a non-profit organization where fans of Michael Jackson can give a gift back to HIM in exchange for the music, the magic, & the memories he has given to us for nearly five decades! MJL is a charitable organisation dedicated to continuing Michael Jackson's humanitarian legacy and thereby making the world a better place. Michael Jackson inspired love, hope and compassion worldwide through his music and through his tireless humanitarian work on behalf of the suffering and underprivileged. Our first project is Everland Children's Home in Liberia. This project was founded on the belief that we, the fans, can make Michael Jackson's final recorded wish come true. Our legacy to him and his family. This project is immense. It will take years of hard work, patience, motivation, dedication, courage and above all, L.O.V.E. Heal the World For Children is a registered international children’s charity with staff and volunteers in 7 countries around the world, dedicated to providing relief to children disadvantaged through poverty, sickness, disability or loss. It´s inspired by Michael Jackson and his efforts to help children and children’s causes around the world and by his message of love. Throughout the year they hold different events for children such as the Children’s Festival, Hospital Visits and Earth Day events in 9 locations globally. With their events they hope to bring joy, fun, laughter, and most of all love to disadvantaged and sick children. "Rarely has the world received a gift with the magnitude of artistry, talent, and vision as Michael Jackson. He was a true musical icon whose identifiable voice, innovative dance moves and stunning musical versatility. A 13-time Grammy recipient, Michael´s career transcends musical and cultural genres and his contributions will always keep him in our hearts and memories." "He loved people deep in his soul. And he was doing music, it was for us." "Sometimes the heart is so heavy that we turn away from it and forget that its throbbing is the wisest message of life, a wordless message that says: LIVE. BE. MOVE. REJOICE - you are alive. Without the heart´s wise rhythm we could not exist." "I think one of the coolest things he told me was never limit yourself; the fact that if people can whistle your songs then they can understand it all over the world. Because there are language barriers...People speak different languages all over the world. Melody is king and I think Michael really understood that...What we didn't lose is his legacy and that incredible catalogue and body of work...We may have lost the man, but we didn't lose the legacy. The legacy is actually bigger than that one human being. That legacy touched millions." "We owe him an honest view of who he was. We will owe him that until we finally sweep away the crap of sensationalist headlines and clearly see why those who love him know more about him than any expert or journalist who claims to have probed his life. Those journalists and experts do not know Michael Jackson. But if you love him, there´s a good chance that you do." "The reality is Michael Jackson's humanity is so deep, the implications and inferences of his art so monumentally and magnificently global, that nothing American television could do to besmirch his character could ever, if you will, deny the legitimate genius that he represents." This is a nonprofit educational website (financed merely by myself). The original sources of the content (all found on the internet for free) are attached where it is possible. All credits belong to original creators and owners of all material. This site has nothing to do with Michael Jackson Estate or Michael Jackson´s family business. "Nothing could contain, stop or define the force that lived within this one man." "It's hard to find words to describe the amazing impact Michael Jackson had on the world!" "Michael Jackson is more than just an extraordinary, fantastic dancer. He is Music, he is Voice, he is Movement, he is Soul. Gifted beyond words and a timeless gift to humanity". "He was, to me, the greatest entertainer of all time. He was a huge inspiration for performers across all music genres. He taught us all how to light up the stage. Wow." "Michael Jackson's legacy will live as long as there is life in music. Arguably the greatest entertainer in the world. Amazing live shows, so many smash hits! So much talent! An enigma of a man. He was an icon and a legend. The man was a true superstar that left you staring at him in awe if you ever got the chance to see him. He would leave you starstruck. This man touched so many lives through his talent, energy and his art. He contributed to so many good causes and paved the way for many artists. He inspired millions of people including me. I personally believe our souls or energy can never die so death is not something I mourn. I celebrate his life and will miss his enigmatic energy on our planet in the form of the the King of Pop -- Michael Jackson. Thank you for everything!!" "I believe MJ was chosen by God to change a generation, bring them into their calling and break racial barriers and color lines. His work has opened doors for so many to achieve their hearts desires!!! Thank you Michael for being my greatest artistic inspiration! "Even in the distance, your legacy and compassion is a gift to the world. Your music inspired me to give, feel and dream. No time will be long enough to forget you, no gossip will be evil enough to break you. I will see you again and we'll dance on the sky. May your inspiration help us change the world into a world with true peace, love and tolerance. We are part of you, you are part of us, you will forever be my music hero." "There is no question that Michael Jackson is one of the greatest talents the world has ever known. That when he sang a song at the ripe old age of eight he could make you feel like an experienced adult was squeezing your heart with his words. That when he moved he had the elegance of Fred Astaire and packed the punch of Muhammad Ali. That his music had an extra layer of inexplicable magic that didn't just make you want to dance but actually made you believe you could fly, dare to dream, be anything that you wanted to be. Because that is what heroes do and Michael Jackson was a hero." "There is no one in the world like MJ! Never has been! Never will be! We all know him in one way or another. In some way he has touched us, been the voice of one of our sweetest memories. And what a wonderful, genuine, compassionate, soft spoken giant so full of love. He gave us love, excitement, one of a kind moments in a mundane world. I can't believe he won't be with us here on earth anymore. But long from now, when we are all dust, he will still never be forgotten ... To the best that ever did it! You are loved, admired and respected forever"